On An Overgrown Path: Today's koan - what is classical music? Today's koan - what is classical music? Having just listened to Steve Roach's "Structures From Silence" for the first time after reading your earlier mention, I must say I see little connection between these atmospheric sounds and what I'd call "classical music", other than a long-form aural experience. I created a good deal of similar electronic mood music years ago in grad school and appreciate the technical aspects of its creation, but I also appreciate the simplicity with which a few sounds/ideas can be drawn out from seconds to minutes to hours through layered editing—all of which seems antithetical to classical music, in my opinion. This is not to criticize "Structures From Silence", but simply to express my surprise at finding it in a list intending in any way to link it to classical music. Tomatoes, tomahtoes, perhaps. John's thoughtful comment raises the important question of what is classical music? But it is not really a question, more a koan - a problem without a solution. Because there is no clear definition of what we should properly call Western classical music. Which means each of us has our own definition, and these are no more than a personal expectations. On An Overgrown Path is a personal blog so the ten compositions featured as music for meditation were personal choices defined by my own unique definition of classical music. This definition differs from John Blackburn's and doubtless from every other reader's. So let me explain my personal definition and how I arrived at it. For many years ago the traditional definition of classical music was a white male conducting white male musicians in music by dead white male composers. That stereotype has, thankfully, changed, and classical music is now less patriarchal and somewhat more inclusive. However the changes have been nuanced rather than radical. I have, of course, welcomed these nuanced changes, but my personal definition has shifted far more radically. Because I came to realise that music beyond that conventionally defined as Western classical could transport me from the temporal to the transcendent in the same way as the masterworks of the Western canon. Which led to my personal definition of classical music as any music that does not have pure entertainment as its primary intent. 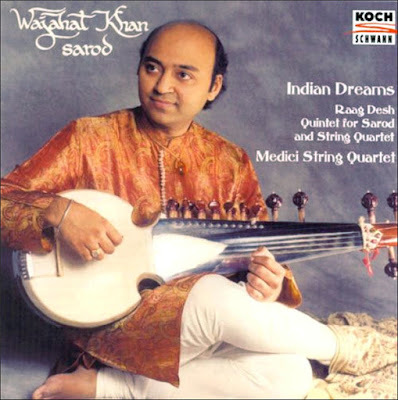 Music from beyond the Western classical tradition that lacks the exposition, development, and recapitulation structure of the sonata form can be very effective at expanding consciousness; which is why Indian classical music became very popular in the 1960s. When writing the meditation music post I was aware that some respected meditation teachers reject music as a meditation tool. This is a viewpoint I respect: because the structured development of a Western classical work draws the listener along with it, thereby preventing the mind from settling. But personally I have found music that eschews the orthodox structure of classical music, such as that of Steve Roach, Éliane Radigue (CD above) and Robert Rich, beneficial in meditation - instead of following the cyclical patterns of the music replaces following the breath. Long-term readers will know that over the years my interest in classical music from outside the Western tradition has deepened. 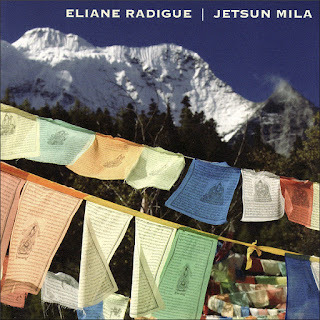 So I have shared my enthusiasm here for music from, among other wisdom traditions, Hinduism, the Bahá'í faith, Zen Buddhism, Sufism, Judaism, the Gnawa, Eastern Orthodox Christianity, and the Cathars. But one of the profound disappointments for me has been that despite the exponential growth of online resources and professed ambitions to make our society more diverse, there has been no increase in acceptance of diverse music cultures. In fact the reverse has happened, largely due to the platform provided by social media. Just one example comes from the Slipped Disc website, which self-describes as "the world’s most-read cultural website". My enthusiasm for sharing the richness of Sufi music prompted a comment approved for publication on "the world’s most-read cultural website" describing me as a blogger who, I quote, "soft-peddles [sic] Islamism/Jihadism". Unlike sticks and stones, words will never hurt me. But, sadly, with social media defining the zeitgeist, words like those of the Slipped Disc reader are defining classical music. Less offensive but still indicative of the cultural zeitgeist was this comment added recently by 'Southern Violinist' to my 2013 post about the Zen ritual with Buddhist sutras and prayers alternating with percussion sequences by Stomu Yamasht'ta seen above. I listened to this "contemporary masterpiece." 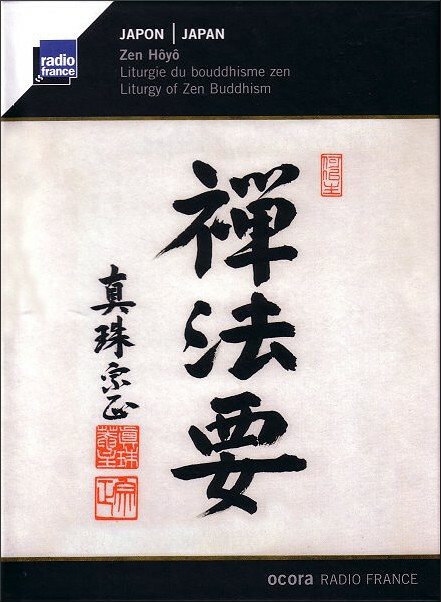 As Zen music it might be great, but the problem with calling this classical music is that it has zero continuity with the great Western tradition. All of the pieces of classical music that are today considered classics may have had new elements or style, but there was a continuity with the past. There are MANY opportunities for composers today to contribute, if they would stop trying to discard the past, demonize Western history and culture, and incorporate Buddhism or Hinduism or some other religious or philosophical system which is foreign to us. 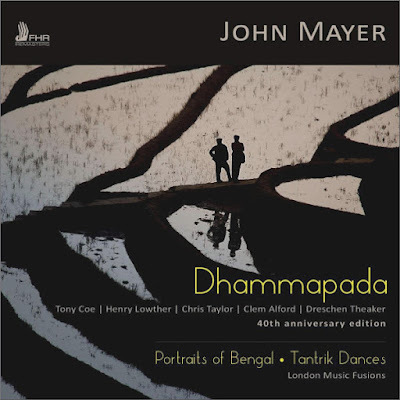 Dhammapada by the Anglo-Indian composer and London Philharmonic violinist John Mayer (see header image) incorporates "foreign" Buddhist influences; while the Quintet for Sarod and String Quartet (seen below) bravely commissioned by the Medici Quartet from the Muslim sarod master Wajahat Khan exhibits "foreign" Hindustani influences. Does this mean they are not part of the Western classical tradition? The comments from the Slipped Disc reader and Southern Violinist are just more extreme manifestations of a contemporary culture in which a passionate inquisitiveness about diversity has been replaced by passive obeisance to the socially prescribed blueprint. A pond is dead water unless it has a stream of new water flowing in. Music circumscribed by the accepted classical comfort zone, Beethoven, Mahler, Shostakovich etc, is very well covered by other music blogs, and just wait until Beethoven 250 starts. By contrast composers who honestly seek to do different receive little coverage. Claude Levi-Strauss remarked that humankind 'had opted for monoculture'. Nowhere is that more true today than in classical music, with the same few composers being played by the same few celebrity musicians in very similar designer concert halls. So in reaction against this, over the years and for better or for worse, On An Overgrown Path has echoed Carl Nielsen in demanding '...Give us something else, give us something new, indeed for Heaven's sake give us rather the bad, and let us feel that we are still alive, instead of constantly going around in deedless admiration for the conventional'. It is that maxim more than anything which has shaped my personal definition of classical music. Another thoughtful post. Perhaps too many people like to live in boxes, seeking peer approval? I have very catholic tastes in music, and can equally enjoy Michael Tippett, Franz Schubert, John Coltrane, Johannes Brahms, Bob Dylan, etc. etc. I recently had a conversation with a self-proclaimed connoisseur of 'the Austro-Germanic classics' who said 'how on earth can you listen to Mozart and Anton Webern?' My answer was that I have open ears and an open mind, to which he said (and its nearly always a 'he') 'Webern is just noise'. Well, maybe it is to him, but not to me. Debussy had open ears with his respect for gamelan music, Webern was an expert on Heinrich Isaac - pretty impressive for the early twentieth century. I think Tippett conducted the first recording of Tallis' Spem in Alium in about 1949 (I was listening to that recording on an excellent NMC disc of 'historical' Tippett recordings just yesterday), and many Western musicians have absorbed global musical influences - Bantock springs to mind, as does Foulds. In today's 'what box are you in' (Leave/Remain, Left/Right,) culture perhaps we all forget that in the long-run we are all dead and we shoul listen with an open mind and heart while we can! A precise definition of classical music is impossible, it's true, though certainly not for want of trying. I appreciate that you provided your own subjective definition ("any music that does not have pure entertainment as its primary intent") so I'll add my own, which over time has reduced to any music of depth that seeks to discover. The emphasis on depth and discover, admittedly vague and subjective, pertains to the musical material only and discounts extra-musical attributes such as text/lyrics and programatic associations. It's the striving through music that, for me, ticks the Classical Music box. Some of the new voices I have discovered with great pleasure through your blog have met that criterion while others have not -- but everything enjoyable need not fit comfortably under one rubric, nor everything instructive.